^ "just flat right?" - I've just thought the same thing! My wish: Fly much faster than any other models do! 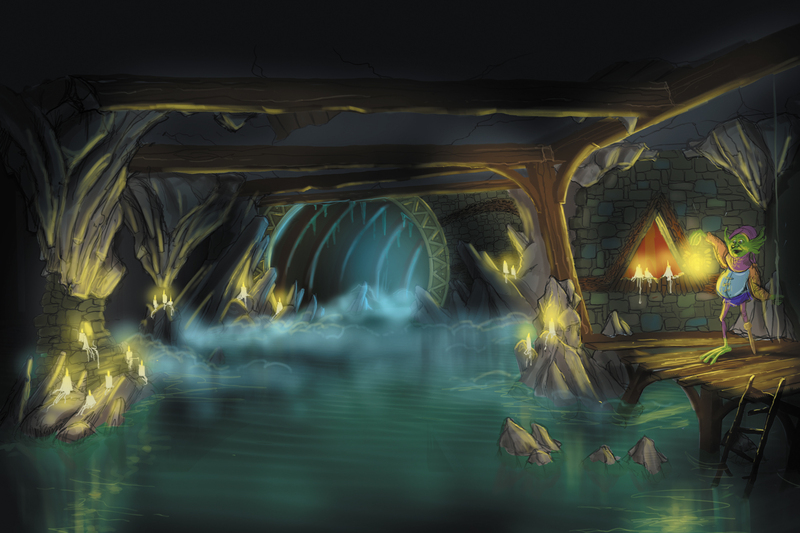 Here is some older concept art of the new area. Apparently later this year updated art will come out. And construction has officially begun! I can tell you it's is almost the same as the fan made. Many sagas and legends have dared. A mythological creature that has spread its magical power for centuries. Powerful, miraculous and pure." That is a lovely teaser. I especially like the music setting the mood. <3 I really hope this wing coaster won't be as much of a disappointment. "Just awake, it's ready for a fresh start. Young, inexperienced and completely new. It is ready for a new start. What is still small begins to grow into a powerful burning mass. A blazing fireball. It is ready for a first flight." Perhaps the unexpected arrival of a (B&M) Wing "Arthur" Rider? If so I'll be wowed! The layout has been revealed today. Here are some pics. Also, the name will be Fēnix (Phoenix). The spectacular new roller coaster of Toverland is called Fenix. 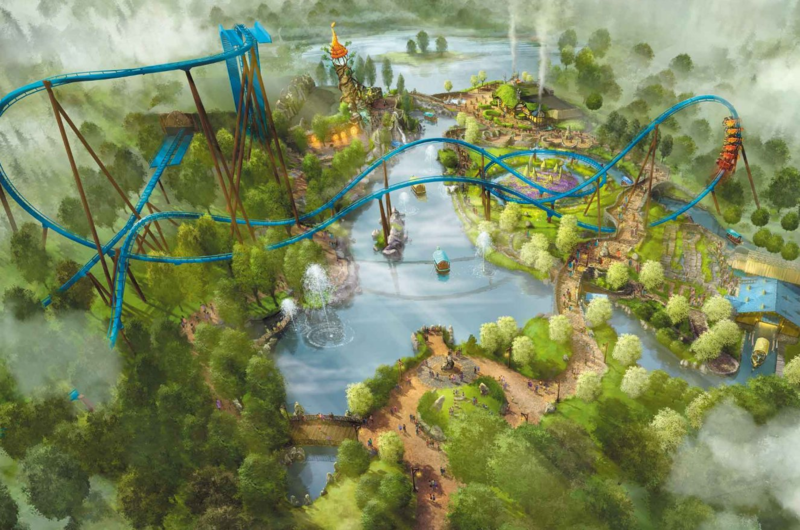 The theme park in North Limburg opens a 40-meter high wing coaster with a top speed of 95 kilometers per hour next year. Passengers cross the head three times. Today, the entire course is brought out. The rollercoaster - with carts next to the rails - has three inversions: a dive drop, a 'Immelmann' (half-loop with half-corkscrew) and a 'zero G-roll' (extended corkscrew). The rest of the 813 meter long track consists of a hill, a horizontal spiral and some sharp turns. The attraction is built by the renowned Swiss company Bolliger & Mabillard, widely known by Baron 1898 in the Efteling and Black Mamba in Phantasialand. There are two trains with 24 seats, divided over six rows of four. The theoretical capacity amounts to a thousand persons per hour. The story of Fenix ​​is ​​about a mythical firebird who once again rises from his own ashes in the 777 years. Visitors are invited to take place under his wings for a turbulent flight, raking along the trees. There is a minimum height of 1.40 meters. 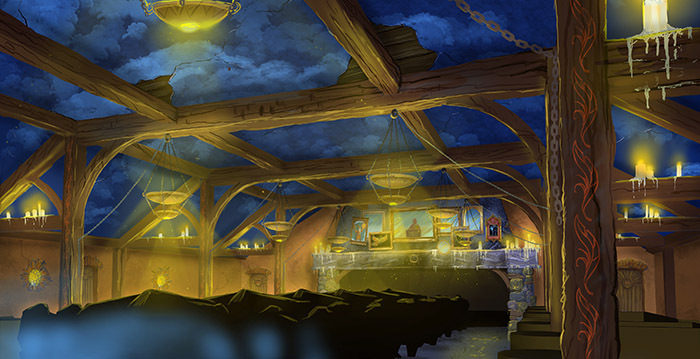 In the richly decorated station building is also the covered part of the new Merlin's Quest boat ride. 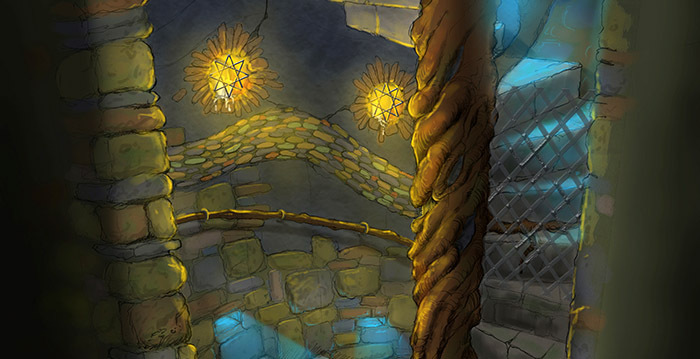 Both attractions are part of the Avalon theme world, where the mighty wizard Merlin lives. Fenix ​​becomes the fourth wing coaster of Europe and the first in the Benelux. Previous copies opened in Italian Gardaland (2011), the British Thorpe Park (2012) and the German Heide Park (2014). 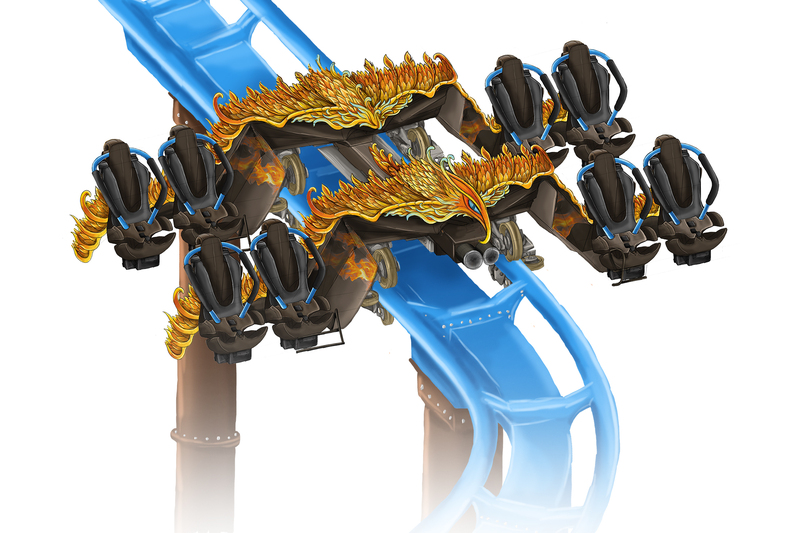 Of all European roller coasters of this type, Fenix ​​is ​​the longest. There is also no higher wing coaster in Europe. 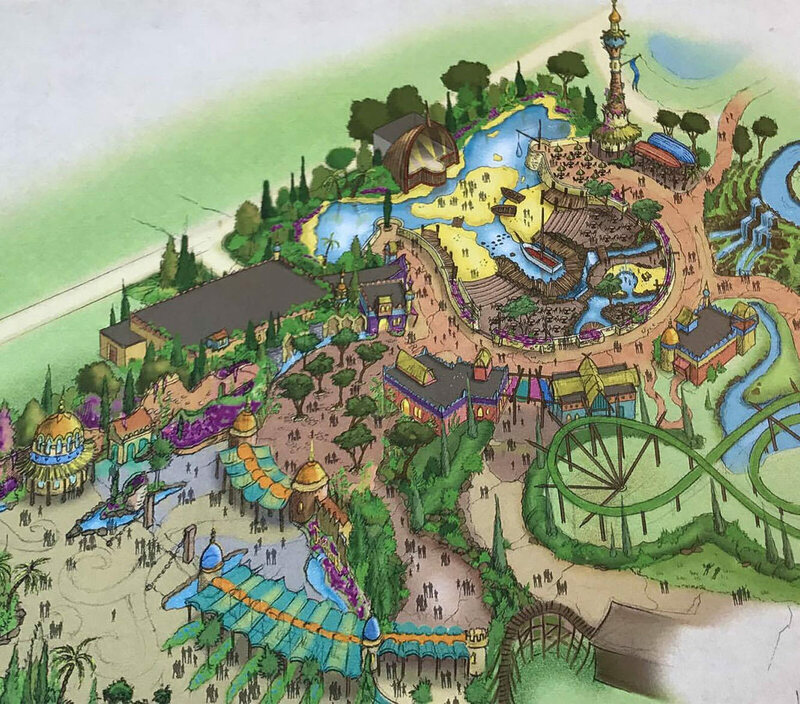 Visitors to the Limburg theme park Toverland can meet with the almighty wizard Merlin from next year. The new theme park Avalon, which opens in the summer of 2018, marks the famous wizard. In addition to a hefty wing coaster, there is a boat attraction called Merlin's Quest. That has just revealed toverland director Caroline Kortooms at a press conference. 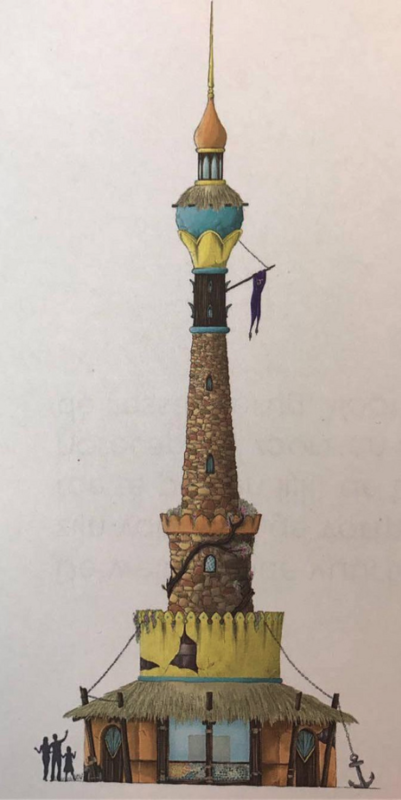 "We have known that ever since the beginning of Toverland, there would ever be a great wizard in the park," said Kortooms. "For that, we first had to grow in quality and capacity. Now is the time. "The slogan of Avalon becomes 'Live the legend'. Water attraction Merlin's Quest is one of the eye catchers. Visitors take place in one of the fourteen boats for a twelve minute cruise - partly covered - on their way to a ruin. The heirs are looking for Tire afterwards, the source of eternal life. "In Avalon, evil is always on the verge," says Peter van Holsteijn, chief designer. "Merlin has to make sure his white magic wins the ice cold magic." 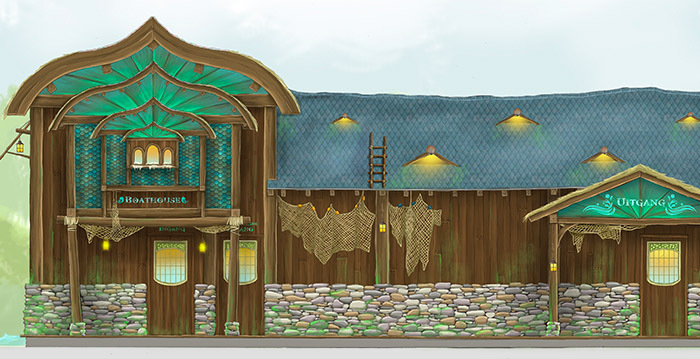 Today, Toverland shows the design of a boat, the entrance building and the first scene of the attraction. The Merlin's Quest transport system is built by German manufacturer Mack Rides. The trail is 430 meters tall and seats in each boat for sixteen persons. The capacity is 950 people per hour. 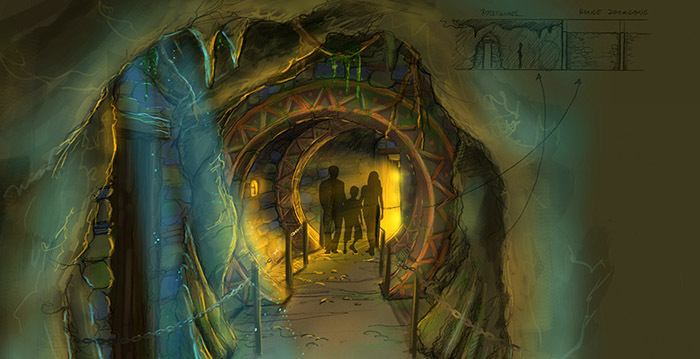 It will be the first darkride in the park. According to the director, magic and magic are timeless themes. "We have known since the march of Harry Potter and The Lord of the Rings: We are well-behaved, suitable for all ages." 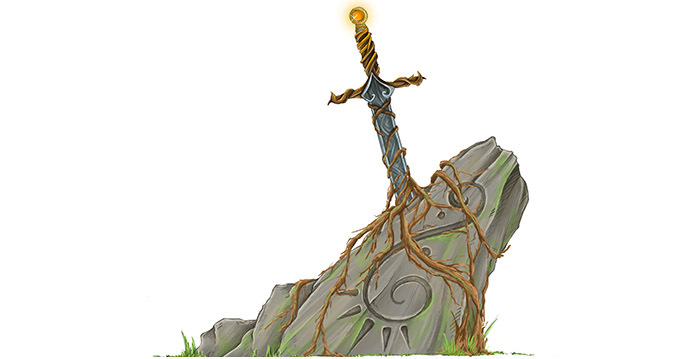 The new themed area wil be inspired by the Celtic legends, with the famous wizard Merlin, King Arthur and the magics word Excalibur. Head designer said: "Avalon is a magical place where Merlin is the central part. Together with his fellow Fēnix he ensures the good magic dominates here. The evil, personified by the witch Morgana, is always on the hunt." The wingcoaster is one of the two eyecatchers of Avalon, and is called Fēnix. "The almighty firebird Fēnix rises from his ash after 777 years. Our guest are ask to take place under the wings of Fēnix to attend his first flight" The manufacture is Bolliger & Mabillard. Fēnix is 40 meters tall, 813 meter long and reach a top speed of 95km/h. During the ride passengers go upside down three times and experience near misses during the ride. A ride takes (without getting in and out) two minutes. It's the longest wingcoaster of Europe and the first in the BeNeLux. In the boadride Merlin's Quest the guest can enjoy a 12 minute long ride through the waters of Avalon. The guest will be searching for Tir na nÓg, the source of eternal life. 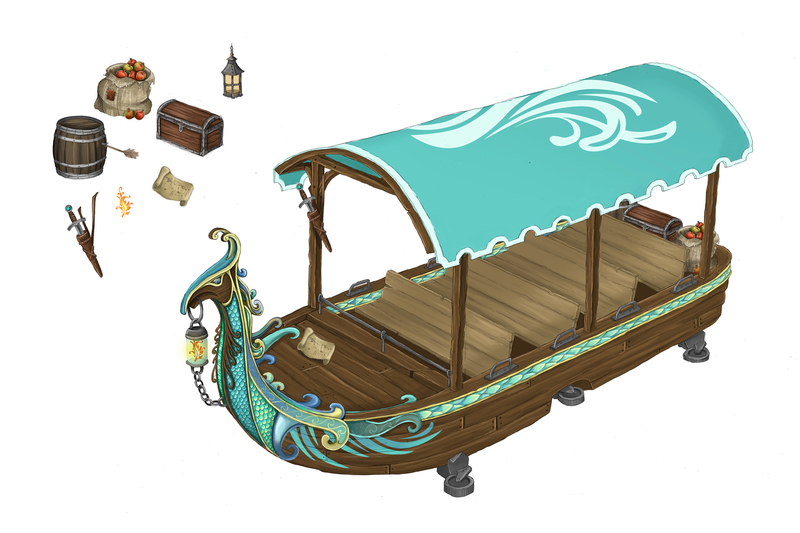 "During the ride the boat sails through a ruin. In this darkride the source could be found." De boatride is a family attraction. In total 14 boat sail the 430 meter long path. 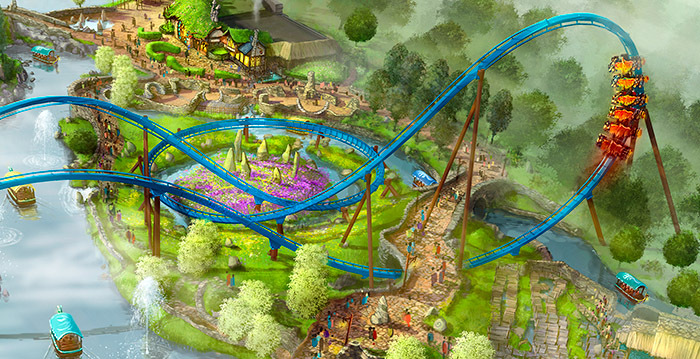 Merlin's Quest will be build by MACK Rides, which build earlier the spinning coaster Dwervelwind and logflume Backstroke in Toverland. The seven hectare is the biggest expantion in the history of Toverland and will coast 30 million Euro's. More about the new entry area will be released later this year. The ambition of Toverland is to reach the one million visitors in the upcoming years. 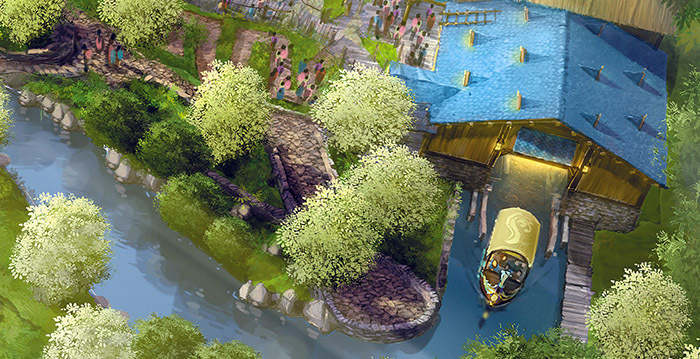 The themepark will expand the duration of stay by building more extensions and a up coming four star hotel resort. The future will be full of magic. Looks like it will be a fun ride. Hopefully it's a bit more interesting than Flug der Daemonen. This should be great for the park and I hope they can keep expanding fast! Hill over the river vaguely reminds me of Gatekeeper's roll over the entrance. It's a nice little layout. It's kinda short, but wing coasters pack quite a punch when the low-ground game is real. The first three elements are gonna be strong. IMAscore has confirmed that they are working on the soundtrack for Toverland's new area Avalon. It will feature a total of 190 minutes of music! Still looks like a fairly short ride. But I do am glad that the ride is a little better then in the fan version. A lot more near misses and a better ending. I'm glad to see another major B&M wing coming and I love the theming, the layout is fairly impressive, it looks to be an enjoyable ride. I need to have that one in my garden! Tickling my fancy! Tobi made an NL2 recreation of the layout. As expected from the announcement, the twisted ending looks great and a lot of fun. It's trying to prove that the track length doesn't matter at all! I'm glad to see the right turn before a dive drop "slightly" sloped. Thanks for the great fun!